Palais Jena is located a 10-minute drive from the centre of Marrakech and a 15-minute drive from Jamaâ El Fna Square. It offers air-conditioned accommodation, a restaurant and spa with a heated pool, sauna and hammam. Rooms and suites at Palais Jena are soundproofed and overlook the swimming pool or garden. They are equipped with a telephone, satellite TV and private bathroom. Each room has a private balcony or terrace. Palais Jena’s restaurant, which overlooks the Atlas Mountains, serves international and traditional Moroccan cuisine. Guests can relax with a drink in the hotel’s lounge bar. Additional facilities and services at Palais Jena include a 2 hectare garden, beauty treatments in the spa and a airport shuttle is available. Guests also have access to free, secure parking with 40 car places and free Wi-Fi. O’atlas is a resort in a 5-acre park featuring a spa center and a 40-meter outdoor swimming pool surrounded by palm trees. It provides air-conditioned suites 12 miles from Marrakech. The suites contain a lounge equipped with a DVD player and TV that has satellite channels. Each suite has a private bathroom with a bathtub or a shower. Moroccan and international dishes are served in the restaurant at Palais d'hôtes O'atlas. The hammam has pools with a range of temperatures as well as a fragrant steam bath. 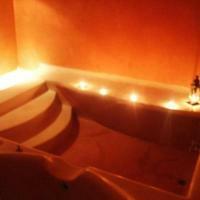 Guests can also unwind in the sauna or hot tub or book one the many massage or beauty treatments. The fitness center at O'atlas provides equipment for gym and cardio training. There is also a billiard room and courses for mini-golf and petanque. This hotel is located 5 km from Jamaâ El Fna square and features a big outdoor swimming pool, sun terrace with deck chairs and Moroccan restaurant. Provided with free Wi-Fi, the property organises activities such as cooking or gardening classes. The spacious, air-conditioned rooms at Le Bled to Stay are provided with a seating area and a private bathroom with free toiletries and hairdryer. They all have direct access to the pool. The suites also feature a living room, a work space and a private terrace. With a 24-hour reception, the property provides a laundry service, room service for breakfast and free private parking. You can play billiards on site or relax in front of the fireplace in the lounge. The museums are 6 km away and Marrakech International Airport is 4 km away. Situated a 15-minute drive from Jamaâ El Fna Square, this villa features an outdoor swimming pool, a fully equipped kitchen and a private garden. An airport shuttle service is provided upon request. Provided with free Wi-Fi, Villa Marhaba has 2 Moroccan-style lounges with a TV, a dining area and a bathroom. The bedrooms are air-conditioned and include a seating area with a fireplace. A traditional breakfast is served daily. Upon request, you can also try Moroccan specialties for lunch and dinner. The Ourika Valley and Marrakech Airport are a 20-minute drive away. Free private parking is possible on site. Located just a 10-minute drive from the centre of Marrakech, Maroc Loisirs offers an outdoor swimming pool, garden, outdoor bar and pétanque facilities. Marrakech Menara Airport is only a 10-minute drive away. All rooms are air-conditioned and feature a private terrace with a view of the mountains, a flat-screen TV and heating. The en suite bathroom includes a hairdryer. A continental breakfast is provided each morning at Maroc Loisirs. Guests can also sample Moroccan and French cuisine in a meal prepared by the host, upon request. Additional features include a hammam, table tennis and the organisation of quad and horse riding. Jemaa El Fna Square is a 20-minute drive away and the Palais Bahia is 14 km from the property. Located just 10 km from Marrakech, Villa Margot offers a heated, outdoor swimming pool, hammam and massage facilities. Marrakech-Menara Airport is a 25-minute drive away. All suites are air-conditioned and feature a balcony with a garden, mountain and pool view, a sofa, flat-screen TV and safety deposit box. The en suite bathroom includes a hairdryer and free toiletries. A traditional breakfast is offered each morning at Villa Margot. Guests can also sample local specialities in the dining room, upon request. Additional features include a garden, library, organisation of tour excursions and views of the Atlas Mountains. Free Wi-Fi access is available and the property is surrounded by palm trees. A 7-minute drive from Jamaâ El Fna, Coco Canel is decorated in a traditional Moroccan style and features a swimming pool, a patio with a fountain and a terrace with deckchairs. With views of the garden, the air-conditioned rooms and suites at Coco Canel offer a seating area and individual heating. The private bathrooms include free toiletries. A traditional Moroccan breakfast is available daily. 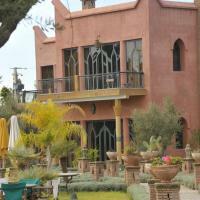 The restaurant serves Moroccan and French cuisine. A bar and snack bar are also at guests’ disposal. Located 9 km from Marrakech Airport, Coco Canel can arrange activities and excursions in the surrounding area. Massages and an airport shuttle service are also provided. Set on a garden, Domaine Caro is located in Marrakech just 8 minutes away from Ourika Valley and 10 km away from Jemaa El Fna Square. 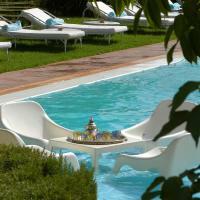 Guests can relax by the outdoor pool and on the terrace. The air-conditioned rooms at Domaine Caro are individually decorated in a Moroccan style and offer free Wi-Fi access. Each room is equipped with a wardrobe and a private bathroom with a shower. Every morning a continental breakfast is served. Upon request, the hosts can prepare evening meals for guests featuring Moroccan and French specialities. The Marrakech Train Station and Marrakech-Menara Airport are 20 minutes away. The hosts can organise excursions and activities in the city and guests can play billiards at the property. Located in Marrakech, Complexe Riad Twama offers accommodation in a traditional Moroccan riad with outdoor swimming pool, garden and terrace. Tours and excursions can be organised on site. The rooms feature traditional, Moroccan decoration, a TV and a private terrace. The rooms have access to an en suite bathroom with shower and free toiletries. Every morning, a continental breakfast is served at the riad. There is a bar and a restaurant serves traditional Moroccan dishes. Free private parking and Wi-Fi in public areas is provided. The Royal Golf and Koutoubia Mosque is a 15-minute drive away The Majorelle Garden and Marrakech Airport is a 25-minute drive. With a Moroccan architecture, La Ferme Berbere features an outdoor swimming pool, a traditional-style lounge and a terrace with view of the palm grove. Massage can be done upon request in the onsite spa. With a Moroccan décor, each accommodation includes a seating area and private bathroom with free toiletries and shower. The suite also has a private terrace and private garden. Local specialties are proposed in the dining room. 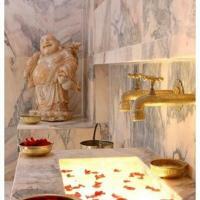 You can relax in the hammam or take part to the guided tours that are organised by the staff. The Majorelle Gardens and the Marrakech Airport are a 25-minute drive from La Ferme Berbere. A 10-minute drive to Samanah Country Golf Course and a 15-minute drive to the Medina, Cityred Villa Rose is an air-conditioned, modern-style villa with 6 bedrooms and an outdoor swimming pool. It features a view of the Atlas Mountains. The elegant accommodations include 6 bedrooms with flat-screen TVs, free Wi-Fi access and a private terrace. You can rest in the sitting area of your room. The kitchen on site provides an electric teakettle, a dining area and a refrigerator. You can sample your homemade meals on the terrace or in the dining area. A tour desk is available on site and you can request an airport shuttle. The property is 7.5 miles from Marrakech International Airport and a 20-minute drive from Majorelle Gardens. A 15-minute drive from central Marrakech, Villa Nour is a luxury Moroccan villa with a private swimming pool, furnished terrace and a garden. The Royal Golf Club is a 17-minute drive from the property. The air-conditioned villa is decorated in a traditional style and features a large living and dining area. There are 5 bedrooms and the kitchen has an oven, a microwave and a stove. Additional features include the organization of tour excursions, hammam treatments and airport transportation. Marrakech Menara Airport is a 15-minute drive away and free private parking is available on site. Set within a 15000 m² garden with olive trees, Villa Zarraba offers an outdoor swimming pool, a terrace with sun loungers and a hammam. 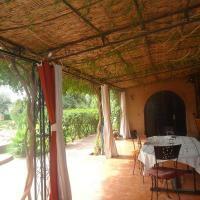 It is located 19 km from the centre of Marrakech and free Wi-Fi is provided throughout. Decorated in a typical, Moroccan style, Villa Zarraba features air conditioning and a TV in the living room. The private bathroom is fitted with a spa bath. You can prepare meals using the villa’s kitchen, which is equipped with a fridge, kitchenware and a coffee machine. Guests can provide the cook with ingredients to prepare meals and a waitress is available to serve them. Babysitting services and car rental are available on site with an additional cost. Marrakesh Menara Airport is 18 km from the villa and airport transfers can be organised, upon prior reservation. Free private parking is provided.